Right before uploading these pictures, I listened to a podcast for our Bible study about intentional motherhood. What a good reminder of the responsibility we have to model our faith for our children all the time, in the everyday moments. What a joy to celebrate Easter, and so thankful that He has entrusted our girls to us. Thankful He's alive with us in all of our moments! This is one of my favorite pictures of Norah! 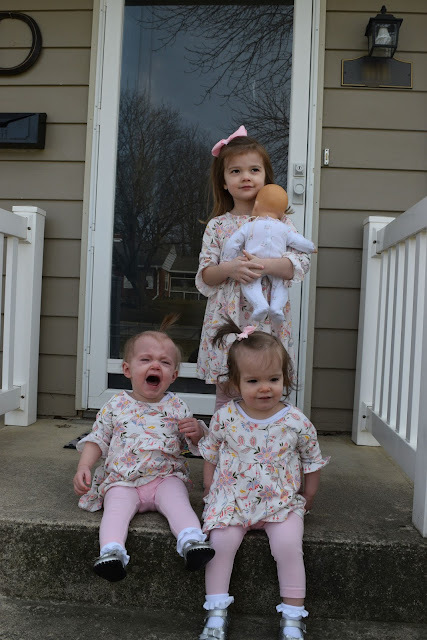 Ellory was going through a phase where she wanted to be held almost all the time, so she was very unhappy about taking Easter photos this year. 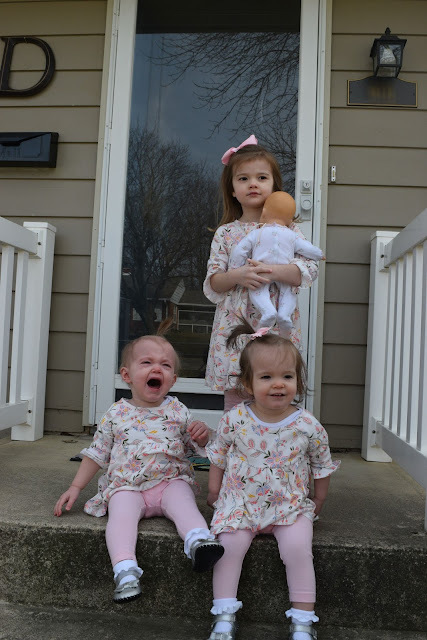 Far away and squinty, but these are the best family photos we got. Happy Easter from the De Jongs! Precious girls!!! 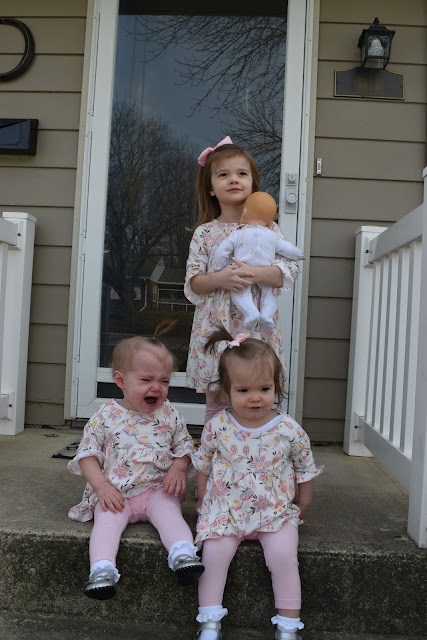 Love their matching dresses!